I have written so much on solar flares and their effect on our psyches and psychology, emotions, and drive that I hesitate to repeat myself. There are all-you-can-eat links at the end of this article for those who really want to learn more. The long and the short of it is that we just had a large X-Class solar flare in synch with the Winter Solstice coming at 6:03 PM EST, followed by a New Moon later in the evening at 9:06 PM. I have already pointed out in the previous post that New Moon, what is called the "dark of the Moon" are darker days before the New Moon, which brings a new start. And of course the same goes for the Winter Solstice, the shortest day and the longest night of the year, all three-o'clock in the morning stuff. I am sure you all get that. What seems not to register with folks is that these heavenly waves of change occasionally pile up and reinforce one another, like now, with the result that our insides kind of churn around in there for a while. It is all about accepting change. I mean change, ready or not, just comes. There is nothing we can do about it. Our only choice is in how we receive it. Like: how does one receive a tsunami, and the answer seems to be "as best we can." Changes, like this current pile-up, shifts things around in there and certain things rise to the top and come out, like the good, the bad, and the ugly, as they say. If we are sailors of the mind, we can batten down the hatches and ride these solar storms out. If not, we get tossed around and suffer the change. Like a tornado, when the changes are done churning, we come back into regular consciousness again, as if it was just a little blink of an eye. We were gone, perhaps had some crazy internal weather, and now we are back. Of the three current celestial events, the intense solar flare, astrologically speaking, is the most effective, as in the "strongest." Instead of the steady rate-of-change of the daily Sun tanning us, we are inundated with blistering change and can easily get burned. It all depends on how the cookie crumbles. Yesterday was pretty intense. And, obviously, we don't come out of such a strong period of change the same as we went in. We are, naturally, changed, because that is what change does, and intense change changes us the most, of course. IMO change is like adrenalin injected into our system. All it does is speed up whatever was already in motion. 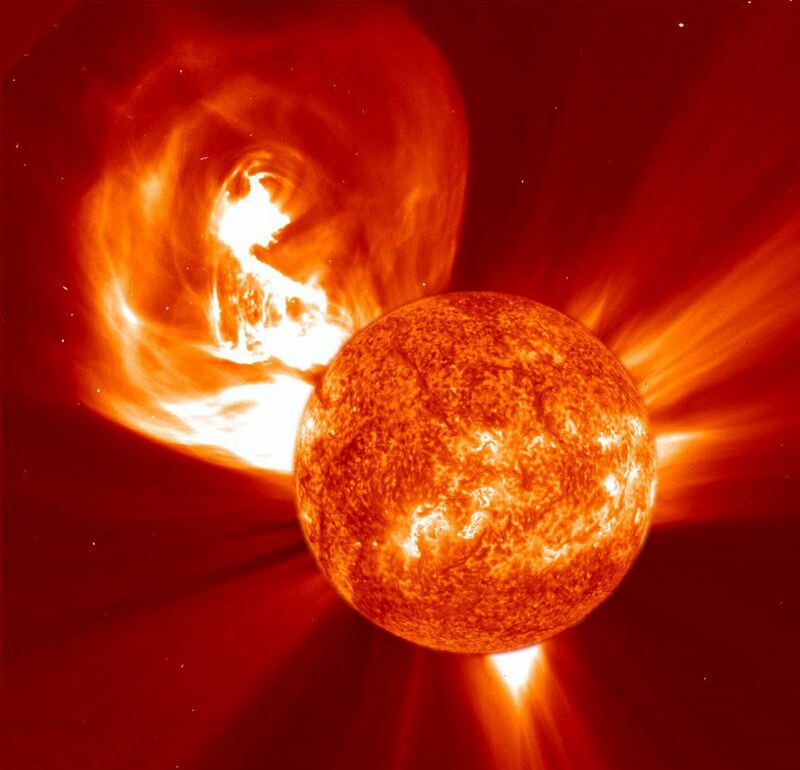 Therefore the effect of solar flares depends upon what we are already involved in. But the intended outcome of what we are doing can be changed by the degree of intensity of the solar flare, so things don't just go faster; some things break. When the solar storm is over and things come back to a new normal, many of us have no idea what happened or why it happened. We were headed one way and we wake up after the change rips through us headed in another direction. I gave up trying to head back into the past to where I was going (before the storm hit) long ago. I just reset my compass, and sail on. And I don't spend a lot of time examining my behavior during the solar storm, because it is not necessarily indicative of anything. I used to live on the Atlantic seaboard and when a big nor'easter storm tore through, it always churned up the bottom of the sea. I liked to walk the beach next day and look for what washed up. I found the darndest stuff, certainly not what I would normally find. My point is that wouldn't pay too much attention to what happens during this time or what washes up from my mind after one of these solar storms, much less the New Moon and Solstice. I just pick up the pieces and move on. Or got to the following page and enter "solar flares: in the search box in the upper right and read for days.